Ok the quality of a my portfolio has captured your attention – fantastic – what next? For me, I feel it’s important we get to know each other a little. Even if its a few chats over the phone or meeting up face to face for an informal chat. 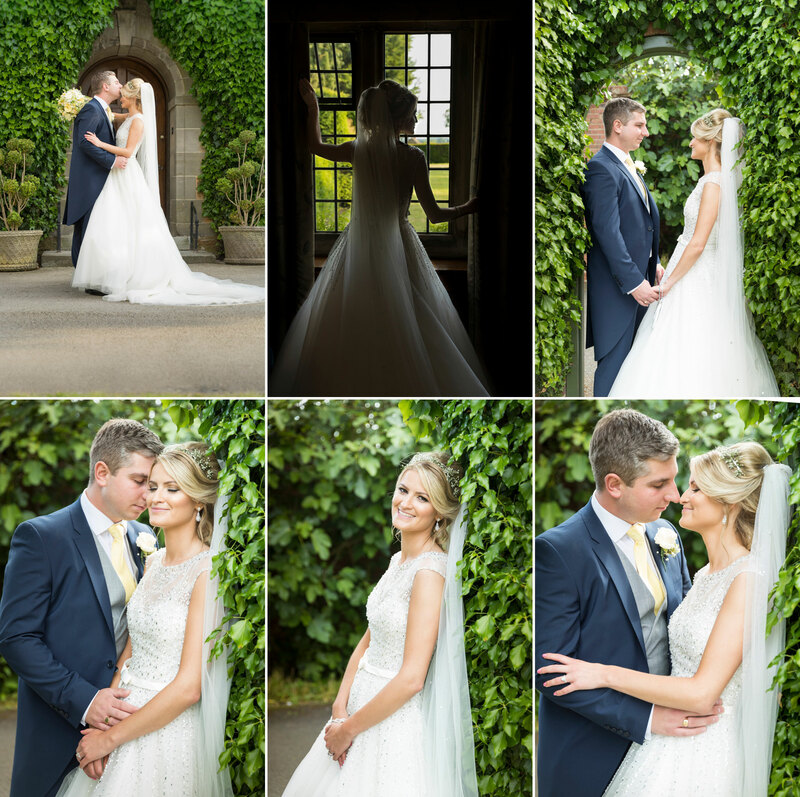 As a bride and groom, you put a lot of trust and faith in your wedding photographer. 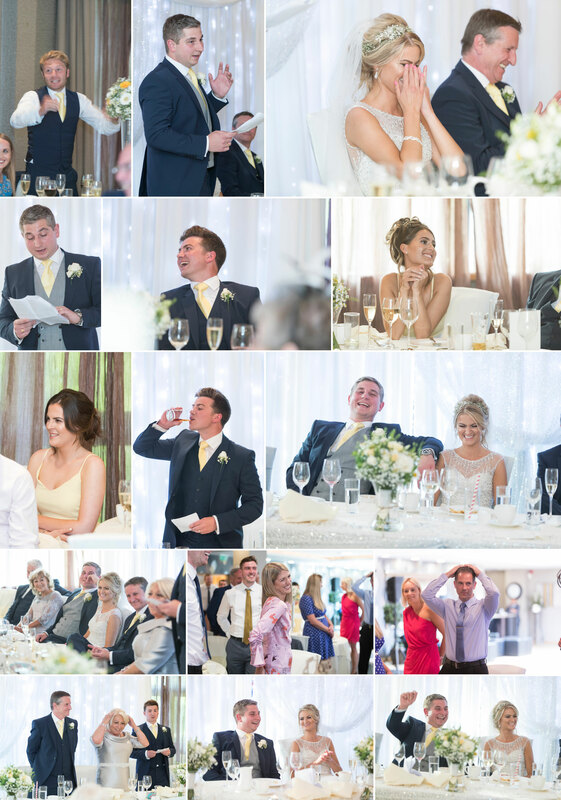 In order to get the best images and a true account of the most important day of your life, it is imperative that you feel comfortable and relaxed in my presence. 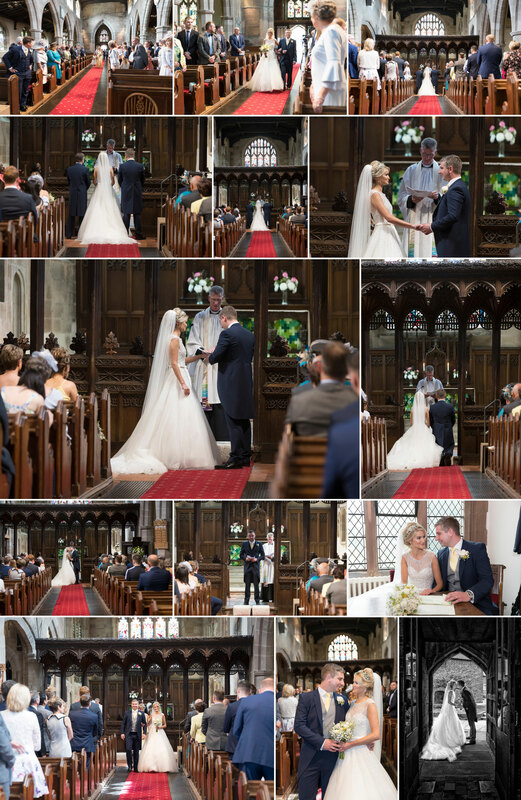 Laura & Andy had only booked me a few months previously to photographer their wedding which was to be held at Hampton Lucy Church with the reception at Malloy Court. I remember speaking with Laura on the phone & thinking how lovely she sounded when we had a chat. Because of timings & family commitments Laura was happy to simply book me over the phone. We arranged to catch up properly a few weeks before her wedding. 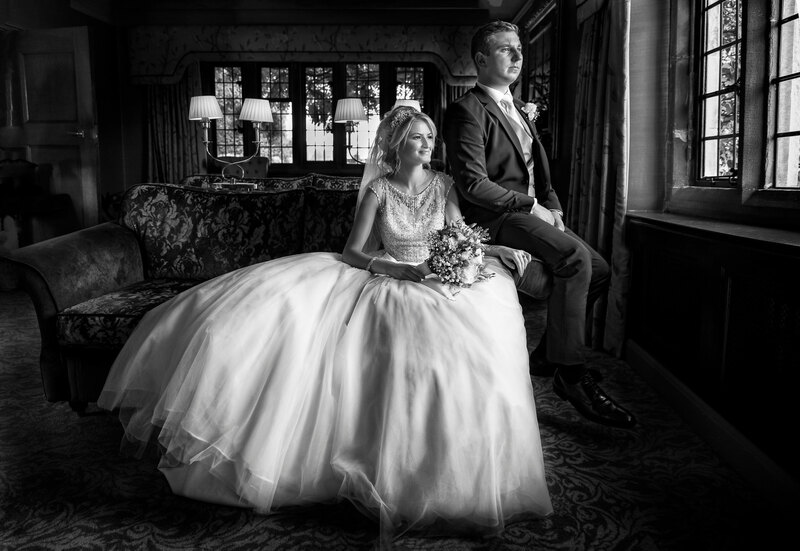 We arranged a skype chat, which suited Laura & Andy best & had a great chat about their day (& despite being past their eldest daughter -Millie’s bedtime :-)), she joined us so she could tell me all about her special princess dress. I remember Laura joking that she’s nearly booked the weekend before & the weather for then looked to be horrendous… & she was right, the previous weekend had been a complete wash-out – cold, wet & windy yuk! 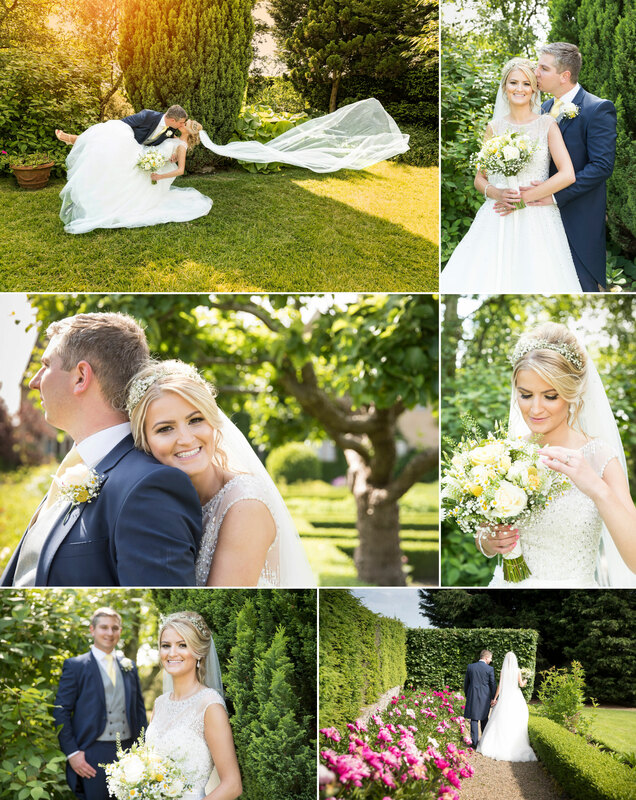 Laura & Andy’s day couldn’t have been more different – Hot, dry & completely blue skies – I knew Laura would be pleased! My first stop was Laura’s house where I got to meet Laura & Millie properly & Laura’s mom & Dad, Lottie their youngest was taking her morning siesta – I felt very much at home straight away. I also got introduced to their other family member – Jake the dog, who was not only deaf but blind … Jake had been one of the select few to be invited to the wedding, but Laura joked that she’d completely forgotten to tell the vicar at Hampton Lucy church & had sent an email the day before hoping they wouldn’t mind Jake being part of the congregation 😀 – The lovely Harriet from Hevans Hair Salon arrived shortly after, to transform Laura’s hair. The whole morning was very relaxed & I could already tell this was going to be a lovely intimate family wedding. 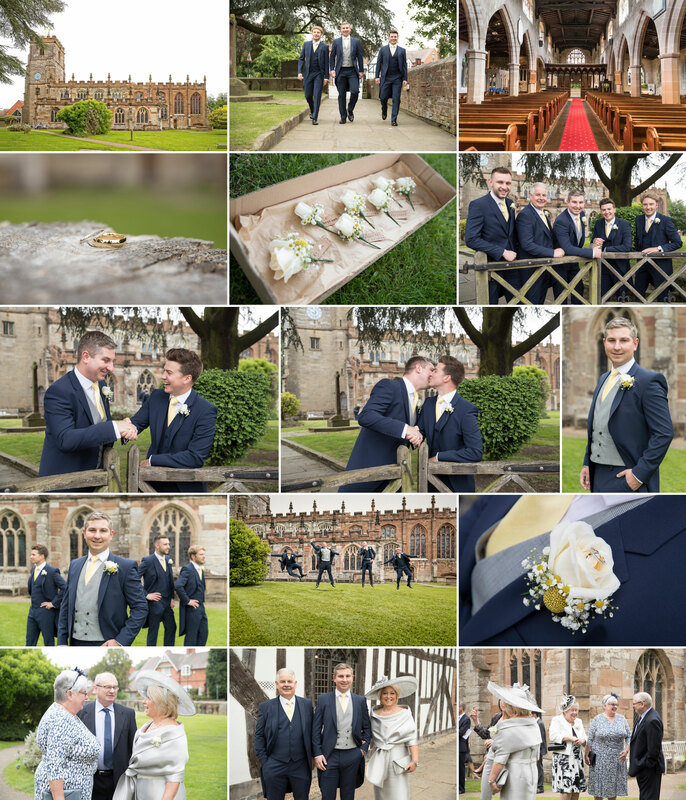 I headed off to meet Andy & his best man Jamie at Hampton Lucy Church, making as much as I could of the glorious sunshine. 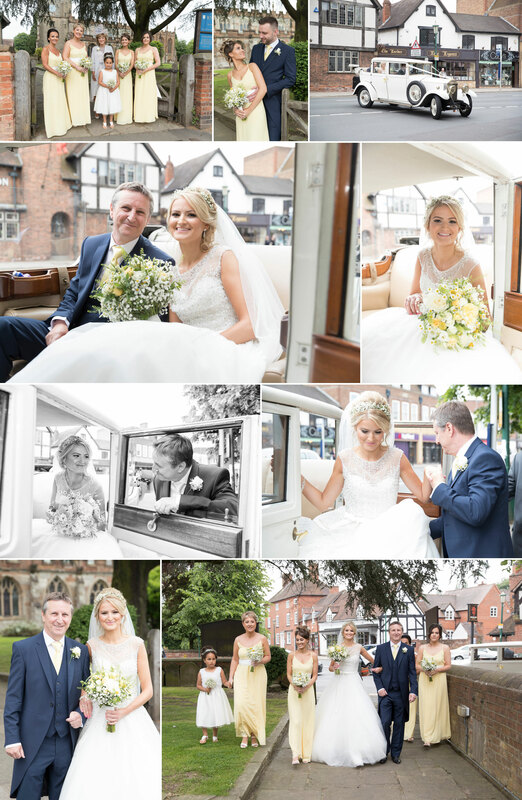 Laura arrived, after being chauffeur driven by her dad, in a beautiful classic Mercedes Benz pagoda. 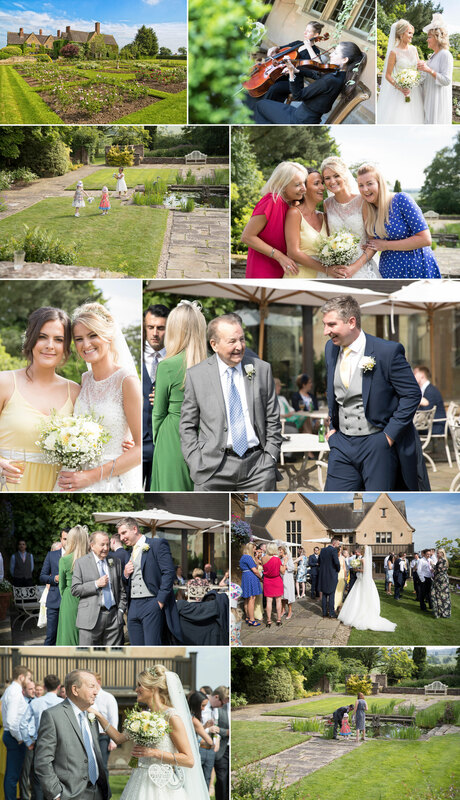 After a beautiful service, Laura had already told me we were on a pretty tight time table so we had just enough time for a few pictures of Laura, Andy & their two girls before heading off to Mallory Court. 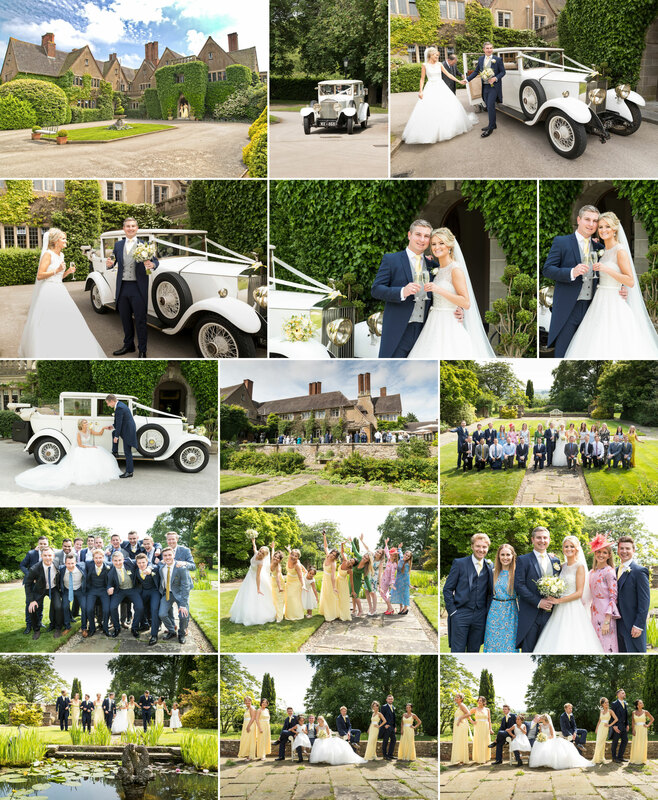 As the sun continued to blaze gloriously we had just enough time to take a handful or group shots Laura & Andy had requested, & a number of Laura & Andy as the new Mr & Mrs Styring. 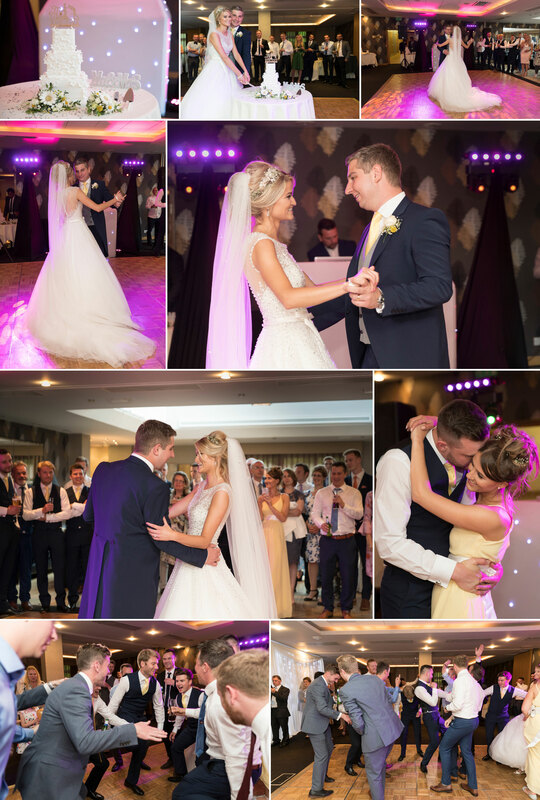 After the speeches Laura had asked if I could stay just a little longer as there was a few extra photos she was really keen to try & capture – I was happy to do so & afterwards I bid my fair well & left Laura, Andy family & friends to party their night away. 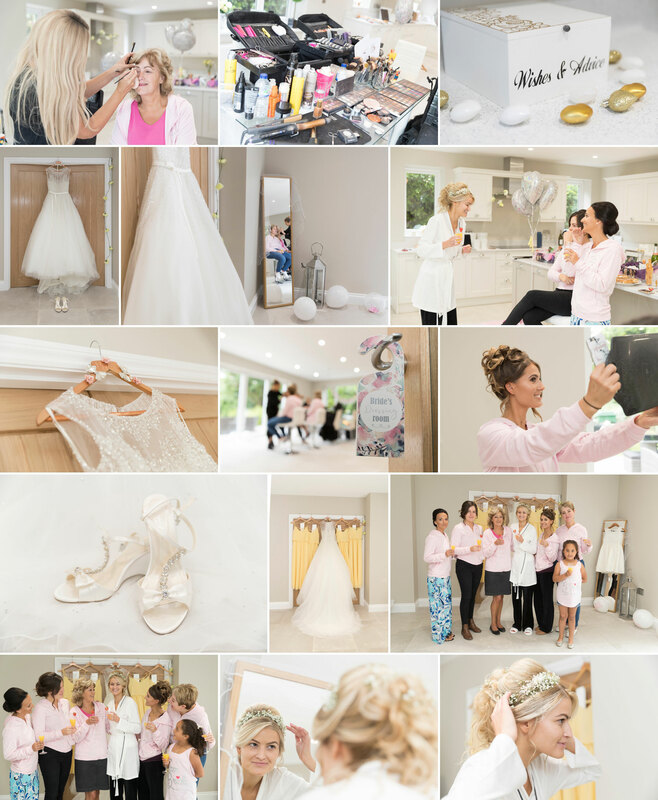 Here is just a sneaky peak of their images. 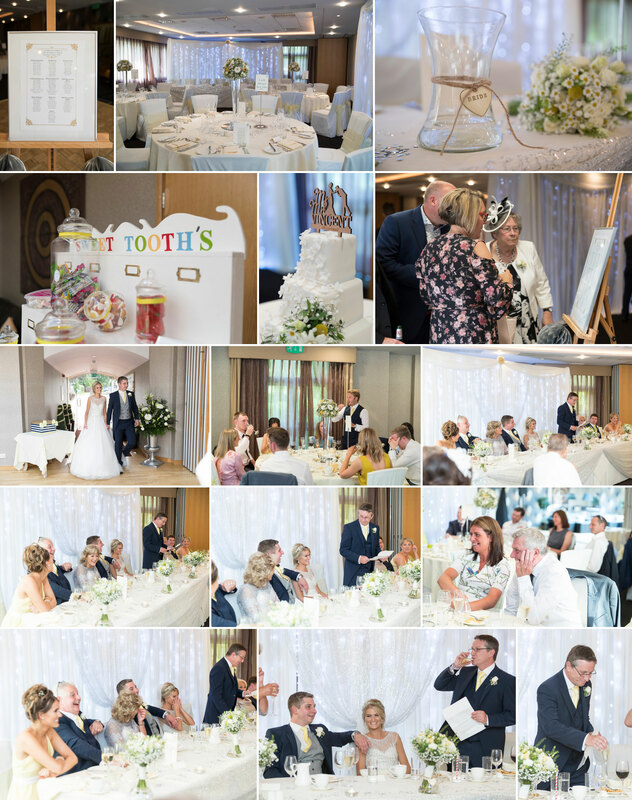 The rest of their wedding images we be available to view in their password protected web gallery. 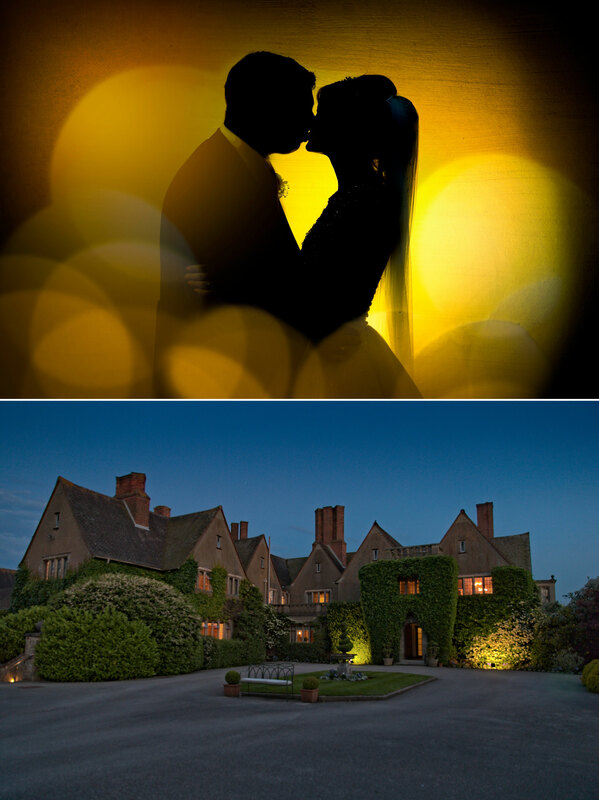 If you or anyone you know is getting married at Hampton Lucy Church, Mallory Court or any other venue then please do not hesitate to contact me for a chat. I would love to be party of your special day too.